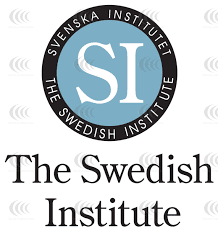 Do you wish to study in sweden then here is an opportunity to study in Swedish Institute Masters Degree. Registration deadline is 16 Jan/10 Feb 2017 and Course starts August 2017. The Swedish Institute Study Scholarships (SISS) are awarded to students from selected countries for full-time master’s level studies in Sweden starting in the Autumn semester 2017. A list of eligible master programmes for the academic year 2017/2018 will be available at the official website as of late November 2016. An estimated 275 scholarships will be available. The scholarship covers tuition fees, living expenses of SEK 9,000 per month, insurance, and a one-time travel grant of SEK 15,000 (only for scholarship holders from countries on the DAC list of ODA recipients). There are no additional grants for family members. The scholarship covers the whole duration of the master’s programme (one or two academic years). Applicants must be from an eligible country and have at least 3,000 hours of experience from full-time/part-time employment, voluntary work, paid/unpaid internship, and/or position of trust. Applicants must display academic qualifications and leadership experience. In addition, applicants should show an ambition to make a difference by working with issues which contribute to a just and sustainable development in their country, in a long term perspective. The first step of the application process will open on 1 December 2016. To be considered for a scholarship you must complete your separate application to the master’s programme(s) before 16 January 2017 by using the national online application service universityadmissions.se. To be considered for a scholarship in the second step of the scholarship application, you must also pay your university admissions application fee before the deadline for receipt of the fee by 1 February 2017. The application process consists of two steps. The first step will take place 1 December 2016 – 16 January 2017 through an online application form. Successful candidates will be notified by the end of January 2017 (preliminary date: 25 January 2017) and asked to submit a detailed application for the second step from 1 – 10 February 2017. It is important to read the application procedure and visit the official website for detailed information on how to apply for this scholarship.